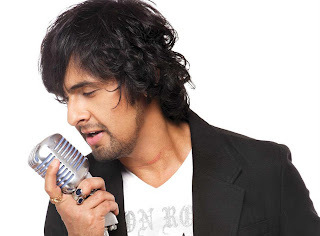 Sonu Nigam is one of the finest singers ever produced on Indian soil. With his young and romantic voice he trespasses the boundaries of languages. His soulful rendition and incomparable energy level make him an incredible performer. His songs are always on the hit charts. Apart from Hindi, Sonu Nigam has proved his amazing talent in Kannada, Oriya, Tamil, Assamese, Punjabi, Bengali, Malayalam, Marathi, Telugu and Nepali. As a playback singer, Sonu Nigam caught attention through his songs in Border(1997). He has even acted in some movies, which were not turned up well. Sonu Nigam has music in his genes. He has started his career by accompanying his father on stage at the age of four. Sonu Nigam is a spiritual man and has special interest in working for charity. He got National Award for the Best Male Playback Singer in 2004 for his masterpiece, Kal ho na ho.